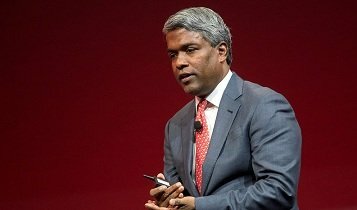 Thomas Kurian Indian-American, former Oracle President of product development, will be joining Google Cloud on November 26th and transitioning into the Google Cloud leadership role in early 2019. From Bengaluru, Thomas Kurian worked at Oracle for 22 years reportedly quit over disagreements with Executive Chairman and CTO Larry Ellison over the future course of the company as Cloud business gets highly competitive. Sundar, Urs and I all interviewed Thomas, and I believe that he’ll do an amazing job helping to take Google Cloud to the next level. Current CEO of Google Cloud Diane Greene said, I will continue as CEO through January, working with Thomas Kurian to ensure a smooth transition. I will remain a Director on the Alphabet board. Under Greene leadership Google Cloud team has accomplished amazing things over the last three years. Team moved Google Cloud from having only two significant customers and a collection of startups to having major Fortune 1000 enterprises betting their future on Google Cloud, something we should accept as a great compliment as well as a huge responsibility. They have built a strong business together—set up by integrating sales, marketing, Google Cloud Platform (GCP), and Google Apps/G Suite into what is now called Google Cloud. Google Cloud team pioneered a way to help enterprises adopt AI through our Advanced Solutions Lab. The set up their industry verticals org where they have achieved massive traction in health, financial services, retail, gaming and media, energy and manufacturing, and transportation. Set up the Cloud ML and the Cloud IoT groups. Google Cloud is differentiated in security, AI, open hybrid application modernization, G Suite, and many other areas. A recognized as a leader in 11 Gartner Magic Quadrants and Forrester Waves.